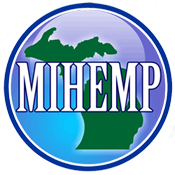 The Michigan Industrial Hemp Education and Marketing Project is unique among farming and environmental advocacy groups. We work to encourage your direct involvement in the legislative process. Whether you receive our e-mail alerts or pay dues as a member, we do not share your personal information with anyone. Your personal information is not posted anywhere within this site. We do: 1) enumerate the numbers of all types of members for each Representative and Senatorial district and use these numbers in the hallowed halls of Lansing, and 2) contact you when important Bills, Resolutions or Committee Hearings occur, and let you know when we meet with your officials, thus encouraging you to support our actions. We are Michigan’s largest pro-hemp advocacy group. Our members provide vital support in efforts to expand and educate. Our memberships are inexpensive, and enhanced memberships (+ $5) include more features. Interested non-members may also subscribe to our infrequent email alerts, just use the contact form and include a note that you want to join the outgoing email list. Having been formed in 2009, we can here only list a few of MIHEMP’s accomplishments. – We [add discussion here, from 1 sentence to 2-3 paragraphs]. Consider joining our infrequent outbound email list. Just use the contact form and note that you want to be on the email list. Then consider becoming a supporting member. Print out the Membership Enrollment Form PDF here. Be sure to include a check or money order. Of course members receive e-mail alerts, but maybe you just want our occasional updates, including legislative actions. Use the form below to be added to this list. Don’t forget to include your ZIP+4, even if you don’t include your address. To continue in our efforts to strengthen the Michigan farmer, open options for Michigan industry, and provide cleaner options for Michigan’s environment, we count on donations. Even a $ 5 donation helps in our efforts to make our great state a better place.